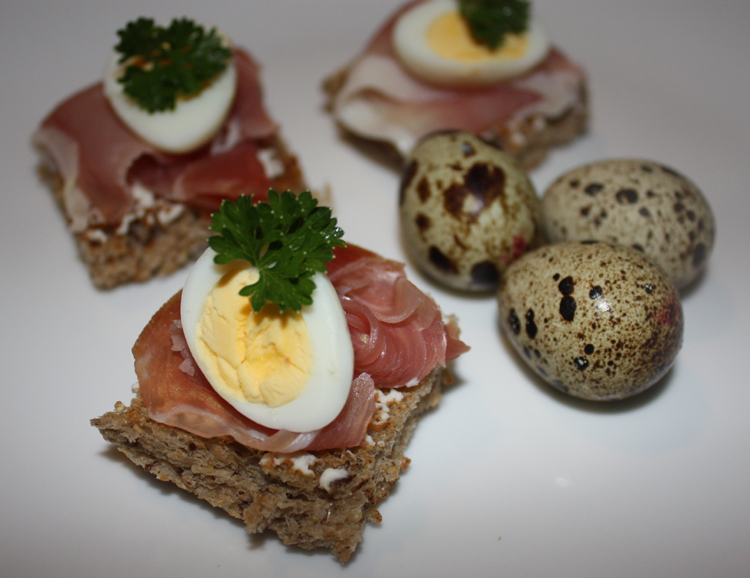 I recently bought quail eggs for the first time (because they look so good), and needed some way of using them. The tiny size of these eggs makes them ideal for appertisers, so I simply hard boiled the eggs. I cut a couple of slices of toast into small squares, spread a little ricotta onto them, then added the prosciutto and half an egg. Topped off with a little parsley, this made a very tasty appertiser which was quick and easy to prepare. This entry was posted in Appertisers and tagged appertisers, bacon, cooking, food, meat, poultry, quail. Bookmark the permalink.